What Is The Best Workout For Self-Defense? What is the best workout for self-defense? 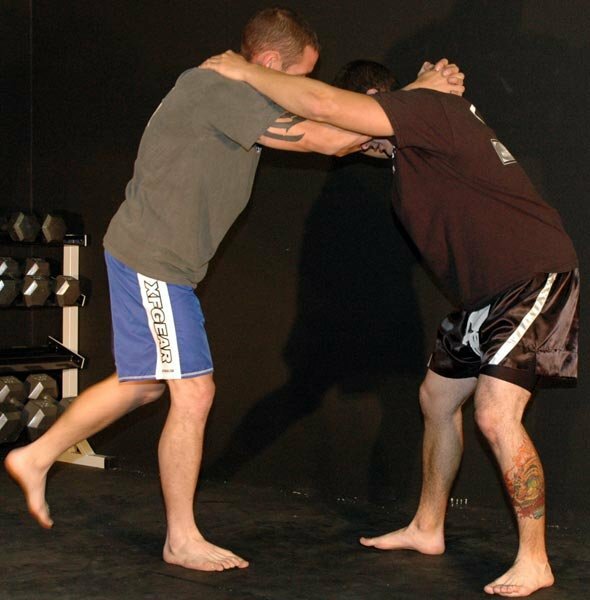 Our forum members share the best training programs and suggestions for self defense training. Get details about training with weights, MMA, boxing, and more right here. Try them out now! TOPIC: What Is The Best Workout For Self-Defense? Knowing some self-defense moves is a great way to feel secure. It's also a great way to build confidence and stay active. What is the best workout for self-defense? Be specific - List Exercises, Sets, Reps, Etc. 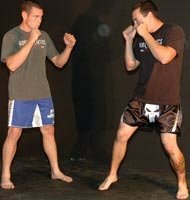 What style of training is best for self defense? Why might someone be interested in a self-defense workout? Bonus Question: Have you ever trained using a self-defense workout? The best, and most complete work-out for someone to use when training for self-defense is one that consists of compound exercises and exercises designed to strengthen one's core. Having a solid base is a must to one's survival when being attacked. If you have ever been hit hard in the stomach, you would understand how important it is to have a strong core and thick abdominal muscles to help weather the blow. 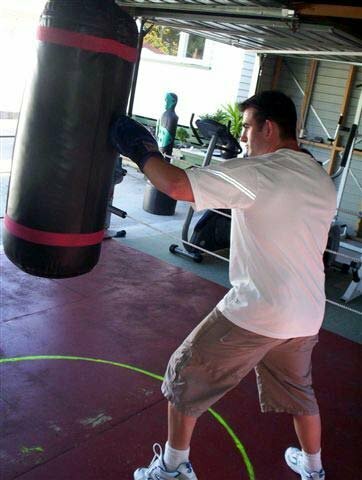 One also needs to train quick, explosive movements to help them when they must make quick, split second decisions. A general work out designed for beginner's to strengthen their base, and core would follow something like this. Muscle endurance is key, and nothing is more important then having a solid base. You're legs hold you up... What happens if your legs give during a fight? Unless you are a jujitsu expert or very experienced wrestler, you do not want to be on the ground against an attacker, especially one that is standing. 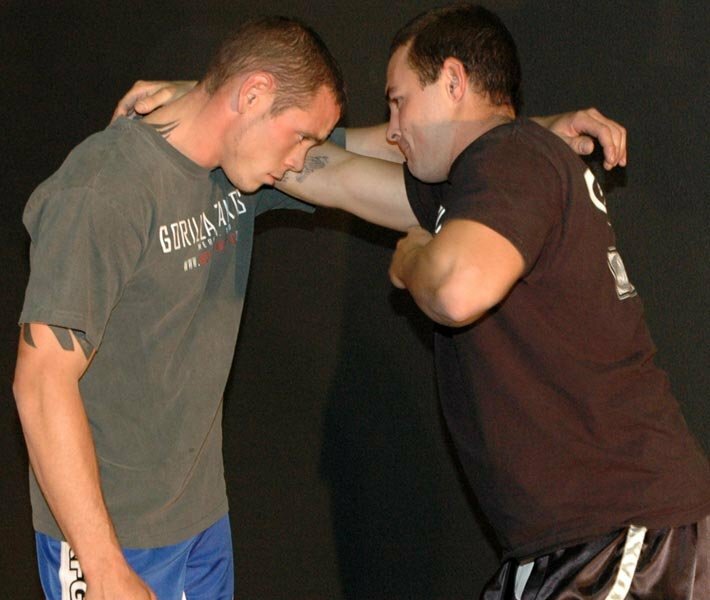 Staying up is key in determining who will win the fight, and how properly you can defend yourself. 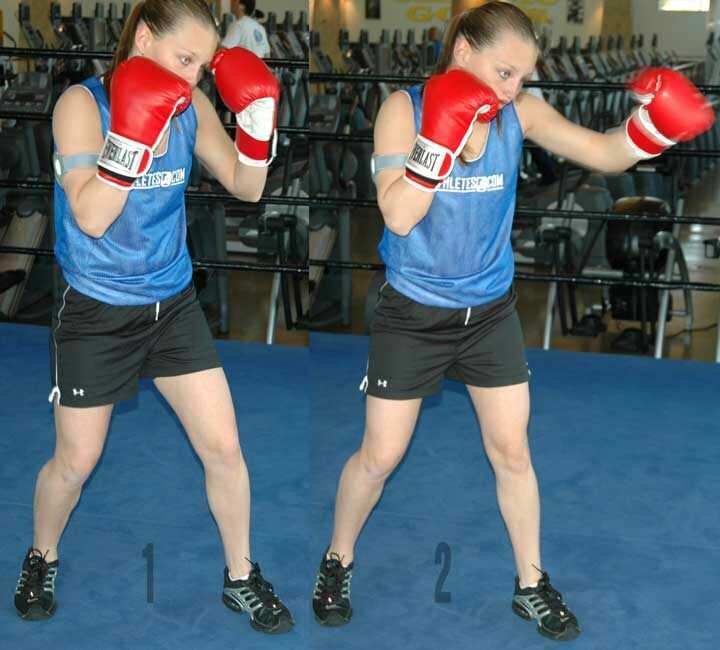 Much of the power in a punch comes from the pivoting motion of your hips and legs, and therefore, it is important to have a solid base from which to throw a defensive counter. Squats, especially in the higher rep range of 15-20 will definitely develop adequate muscle endurance and strength that is required to defend yourself. Strengthening your core is important. Deadlifts are another compound exercise that will undoubtedly help you in a fight. This targets various muscle groups, and will help bring out your ability to stand up and not falter against a blow by an opponent. This exercise will be altered just slightly. 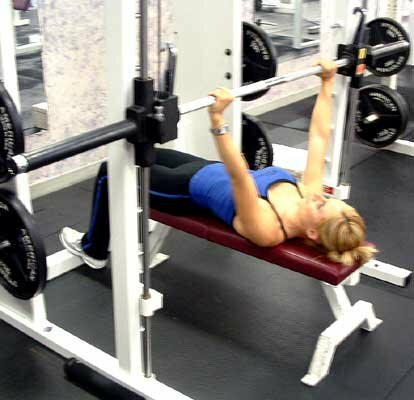 Choose a lighter weight, and instead of simply extending your arms up as you would normally, actually throw the bar up into the air, and then catch it as it drops back down. This will help you develop your ability to extend your arm out quickly and powerfully. You are trying to throw the bar up as high as possible. Thus, when you are throwing a punch at an opponent, you will be used to the motion and your arms will be able to extend quicker and stronger. 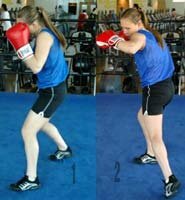 It is required that one strengthens their abdominal muscles to help if they are punched or hit in the stomach area. Sit Ups are a core exercise that works both the abdominals and calls the hip flexors into play. Crunches and Sit Ups can be rotated, and the number can be adjusted by the experience and ability of the individual. Weight can also be added, if the 50 mark on either crunches or sit ups are easily being reached. Oblique Crunches, or any exercise that targets the obliques can be substituted here, this is simply helping to protect against those possible hooks that may not hit directly on the abdominals, but more to the side of the body, having decently developed obliques will help protect against shots like this. These exercises do not have to be used with extremely large amounts of weight, as the goal is not power lifting, but instead endurance. Rest periods should be very, very small, 30 seconds at most, and everything should be quickly paced and explosive. After all, a fight will be quick and explosive. Regardless of what one may believe, most fights will not end with one well placed punch. Being able to throw quickly and consistently is key, and therefore, having the cardiovascular ability to fight is important. 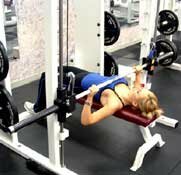 Cardio style exercises (such as running, biking, etc) is not required, as long as the weight training exercises are done quickly and intensely. These exercises will function similarly to a cardio session if done properly. No such style exists that is the "all-time" best for self defense. Everything depends on the variables. 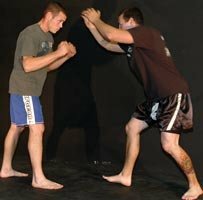 If you are being attacked by someone who brawls, then a stand up fighting style such as boxing or Muay Thai is the best. If a wrestler is attacking you, then you know he will probably try to take you to the ground, where a style such as Judo or Jujitsu will be the most successful for defense. Each and every style will have benefits and disadvantages. 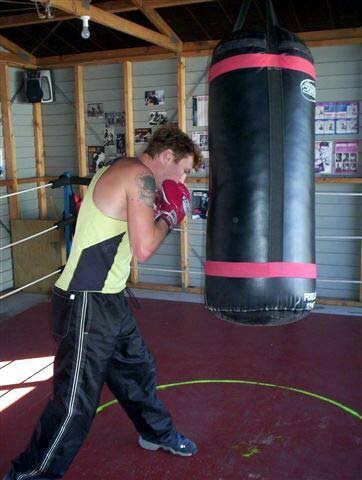 Boxing is great for learning how to throw punches explosively and with great speed and power. 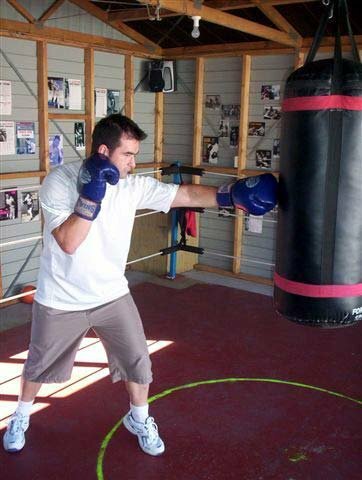 Boxing will also help your foot movement, and your ability to close the gap or increase your distance from an opponent while still keeping defensive. But pure boxers often times have a difficultly fighting from the ground, as all their training is done standing up. 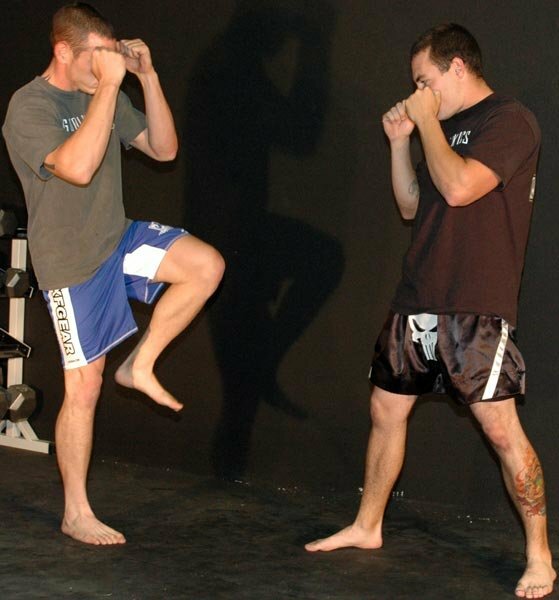 Muay Thai fighters work punches, but they also emphasis on kicks, knees, and elbows. This adds a wide variety to your arsenal, but, like boxers, they often fail when taken to the ground. Judo is great for learning how to take someone down. But Judo's main emphasis is just that, learning how to take someone to the ground, but once on the ground, many Judo practitioners are not nearly as skilled as a wrestler or Jujitsu fighter. Jujitsu is best when combined with Judo. When learning Jujitsu, you learn various choke holds, arm bars, leg bars, and other maneuvers you can use to manipulate your opponent. 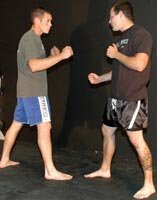 Unfortunately, if a jujitsu fighter can't close the distance against someone like a Boxer, who learns how to distance properly, then that person may never get the chance to take the fight to the ground. Therefore, the most effective way to train for self-defense is by training various styles, so you are ready for various situations. "Cross-training" is the art of training in more then one style of martial arts. 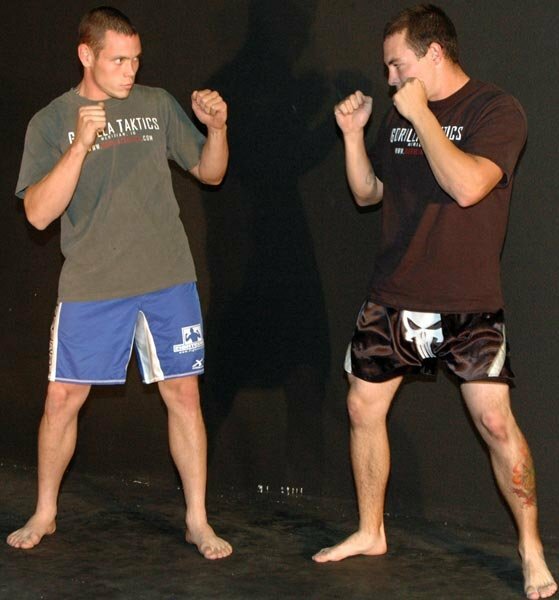 Taking a "Mixed Martial Arts" class, where both hard (quick, striking motions) and soft styles (using the enemies momentum to your advantage, etc), stand up and ground styles, and everything in between are studied, is you're best bet. Many mixed martial arts styles will include boxing, Muay Thai, Kempo, Jujitsu, Judo, and possibly other martial arts. This is the best way to train for self-defense. A self-defense work out is great because it is different then other work outs. It is fun, and productive. Instead of simply "lifting a lot of weight" or "looking good", you are getting in shape, AND helping your body to be able to defend itself when placed in a bad situation. Any martial artist could benefit from using the weight room, even Bruce Lee lifted weights (although, not all the time, and differently, than say, a bodybuilder would). Any bodybuilder could benefit from a self-defense work out simply because it would help them be able to control their body, movements, and motions more effectively. Ask someone like Flex Wheeler, who, although one of the best bodybuilders in the world, still loves martial arts and considers it his passion. Mike Tyson, one of the best boxers, and heaviest hitters, lifted weights, and look at his power! Even the average person could benefit from a self-defense work out. It is designed to get people fit, and it shape. It will improve cardiovascular health, it will help create an appealing body, and most of all, it will help the person become more confident in their abilities. 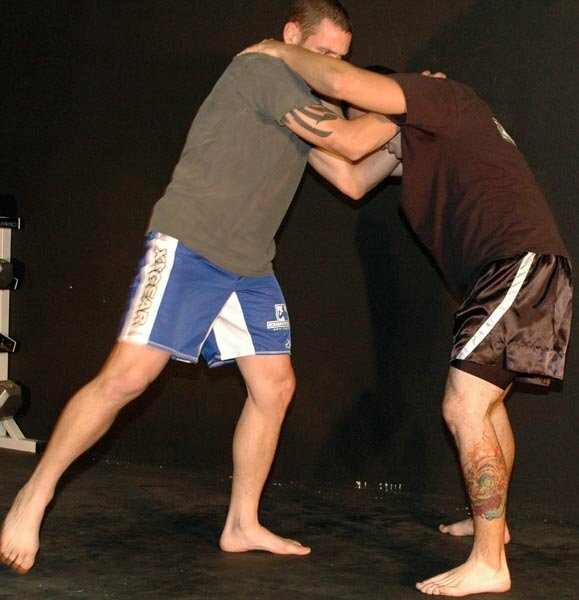 Have You Ever Trained Using A Self-Defense Workout? I have studied Kempo for nearly 6 years. I have boxed with some of the best fighters in my area. I have studied Brazillian Jujitsu on and off and have dabbled in Judo. Muscle endurance is key to self-defense, and using weights to increase that muscle endurance is a great thing to do. 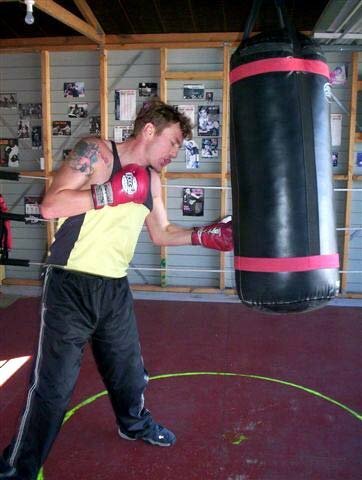 I have often used a self-defense work out, designed by either me, my boxing trainer, or a fellow martial artist. Most people usually agree that following a training routine that strengthens your core and promotes a solid base from which to fight is the most vital aspect of a self-defense routine. The workout below is a combination of strength building, bodybuilding, and mixed martial arts workouts, which is great for self defense. You will increase strength and muscle size with weight training, and increase speed and endurance with mixed martial arts. Practice any type of mixed martial arts for 60-90 minutes. On Tuesdays and Thursdays, I included 60-90 minutes of mixed martial arts. 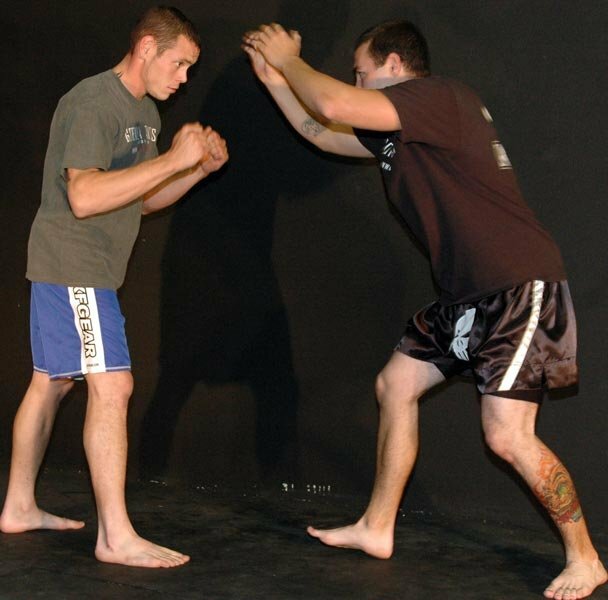 Along with weight training, this is the best training for self-defense. You may choose to partake in any form of mixed martial arts. Below are my recommendations. Most street fights involve boxing, so that can be a great choice. However, I believe boxing alone is not always enough, so why not include kicks, elbows, and knees along with the boxing. This is actually a type of mixed martial arts known as Muay Thai, which I highly recommend you try out. 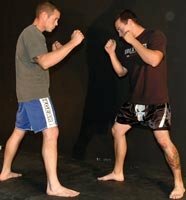 Below are some Muay Thai striking skills that need to be practiced in order to achieve good self-defense. 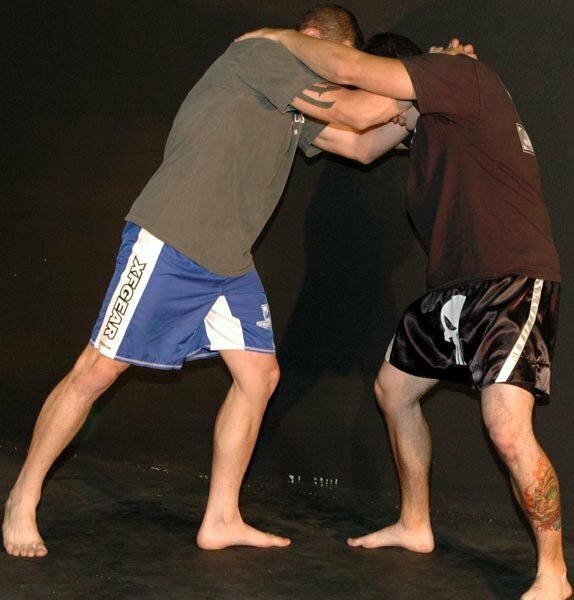 Below are instructions on the most common fighting stance. Below are instructions on the punches that need to be practiced. Take a small step forward with the lead foot, slightly turn hips and shoulders in a clockwise direction, and straighten the lead hand. Take a small step forward with the lead foot, turn hips and shoulders in a counterclockwise direction, and straighten rear hand. Take a small step to the left with the rear leg, turn hips and shoulders in a counterclockwise direction, and slightly bend the knees. Then lift the left elbow up to shoulder level, and turn hips in a clockwise direction, to carry the fist into the side of the opponents head. Slightly bend the knees, drop the rear hand, then quickly snap the hips in a counterclockwise direction, to carry the fist under the opponents' chin. Below are instructions on the kicks that need to be practiced. Roundhouse Kick- take a small step forward with the lead foot, then push off the ground with the rear foot, to turn the hips in a counterclockwise direction. Pivot lower body on the ball of the lead foot, and let the rear leg whip, which sends your shin crashing into your opponents' lower thigh. Inside Leg Kick- take a small step forward with the rear foot, and snap hips in a clockwise direction, while spinning on the balls of the rear foot. This movement sends your lead leg's shin crashing into your opponents' inner thigh. 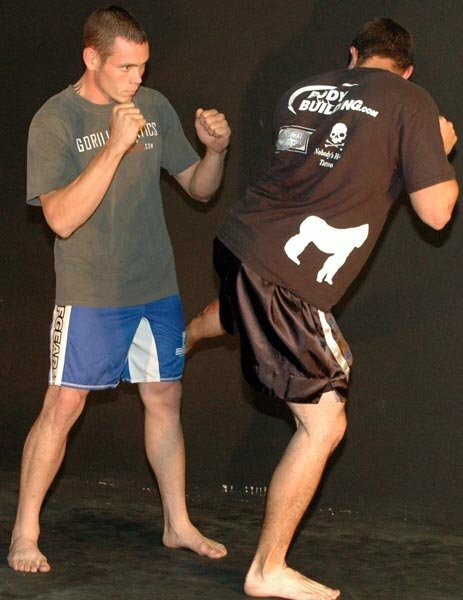 Front Kick- snap left knee up to chest level, and push the ball of the lead foot into the opponents hips while slightly leaning back, to sustain balance. Below is a list of knees/elbows that need to be practiced. In order to maximize performance and results, you must follow a healthy, nutritious, and balanced diet plan. Below are some general guidelines that should be followed. Safety is the most common reason someone might be interested in a self-defense workout. Not only will a person feel safer and more confident, they will be almost fearless when out in public. Add to that the fun and amusement that self-defense workouts bring to those who partake in it, and the ultimate attribute, discipline. Yes, discipline is the most significant attribute that self-defense workouts produce. When someone is well disciplined, they don't go around causing trouble and picking fights, so in turn, they may never have to put themselves in a life or death situation. I practice mixed martial arts four times a week, and I also follow a strict five days a week bodybuilding program. So when you add all that up, my workout is very similar to a self-defense workout. I hope you have enjoyed reading this article, and good luck! The training is broken up into two phases: the first focusing on building mass and learning basic movements, the second on building strength and conditioning. Each phase lasts about 6 weeks. After the 12 weeks, a one week break should be taken. This program can be repeated, but after the first time, a one week break should be taken every 6 weeks to prevent overtraining. Notes: Training does not need to be identical to that of a boxer's because the level of conditioning is simply not necessary, and could be detrimental to size and strength gains. Therefore, the amount of conditioning in the program is not high, but adequate to maintain an appreciable level of physical fitness. 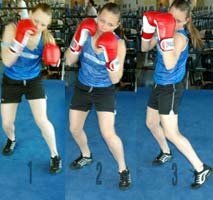 It is important to visualize the heavy bag as someone who is attacking you, so make sure to pretend to dodge punches as if you were fighting someone. Moving your feet around a lot is also helpful, as moving targets are much harder to hit than stationary ones. Flexibility is also important when training for self-defense, and should be performed every day of the week. Click Here For A Printable Log Of This Flexibility Routine. A combination of functional hypertrophy and strength training will get the job done when training for self defense. Explosiveness and quickness should also be focused on, as you may encounter people that are bigger and stronger than you. In those cases, you can defend yourself using your speed and quickness. 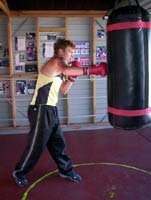 The way boxers train is probably the best for self-defense because boxing is a sport where self-defense is an inherent quality all boxers must have. 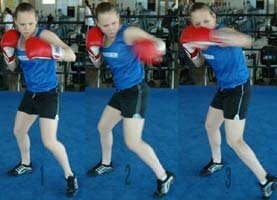 Boxing focuses on conditioning, relative strength, quickness, and hypertrophy, most likely in that order of magnitude. If someone were to try to attack a boxer on the street, it would not end up well for the attacker to say the least. Someone may be interested in a self-defense workout for many different reasons. For one, certain people may live in areas where crime is common and self-defense is a necessity for "survival." In other cases, people may want to learn self-defense and become stronger just in case or to boost their confidence. Also, self-defense workouts may relieve a lot of stress that a person may have. 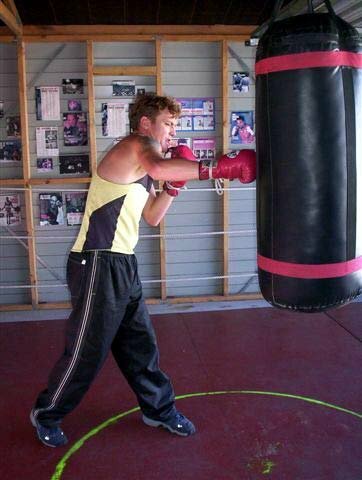 The combination of weight training and hitting a heavy bag will do much to relieve stress. Those that live in "tough neighborhoods" will also be able to relieve their stress because they will have less fear of being attacked and actually getting hurt. They will have the knowledge that they can fight back against anyone which boosts confidence and greatly relieves stress. Luckily, I have never been in a situation where I needed to use self-defense and my environment is not such that self-defense is a priority. But I lift weights to get bigger and stronger, so while I am not training specifically for self-defense, I gain better self-defense skills as a byproduct of my training. A few years ago, I was a tiny 6 foot 2, 140 lbs weakling. Now, after 2 years of weight training, I am at 6' 6", 200 lbs. Back then I was an easy target and my self-defense skills were sub par to say the least. Thankfully, nothing ever happened to me. Now, it is highly unlikely that someone would even want to try to fight me unless they were a lot bigger than me. My self-defense skills are pretty good, I have decent amounts of strength and size, and I am pretty quick for a big guy. Training like a bodybuilder or powerlifter has many positive implications in the self-defense scenario.